Semtech Corporation (Nasdaq: SMTC), a leading supplier of analog and mixed-signal semiconductors, today announced the production release of the TS13102 and TS13103 solid state relays. These enhanced solid state relays expand the company’s Neo-Iso™ product platform and enable self-powered control systems in Internet of Things (IoT) applications, such as smart thermostats, alarm panels, factory automation systems, smart controls and more. The TS13102 solid state relay can autonomously harvest energy even when its switch is closed and without the assistance of a microcontroller. The harvested energy is stored in a system capacitor (Csys) and can be shared across multiple channels in the system driving several loads simultaneously. The TS13103 is outfitted with a Power Transfer Output pin (PTO) to transfer the harvested energy on the other side of the isolation barrier to the controller of the system. This design allows for much smaller systems that can last decades without needing their batteries replaced. It also eliminates the need to include costly transformers and AC/DC power supplies with the system, which significantly reduces the bill of materials (BOM) cost. Both TS13102 and TS13103 relays have a new, enhanced communication scheme that allows the controller to send specific commands through the control line (CLK) to perform a variety of functions, including receiving diagnostic information. The control and feedback lines can be shared across multiple channels, greatly reducing the system microcontroller pin count. These latest additions to Semtech’s Neo-Iso product portfolio offer designers the benefit of significant board space savings and BOM cost savings compared to mechanical relays, as well as silent operation, diagnostic capability and a major Increase in the lifetime of the product. TS13102 and TS13103 (order codes: TS13102-QFNR, TS13103-QFNR) are available immediately in production quantities and either are priced at $0.79 each in 1,000-piece lots. 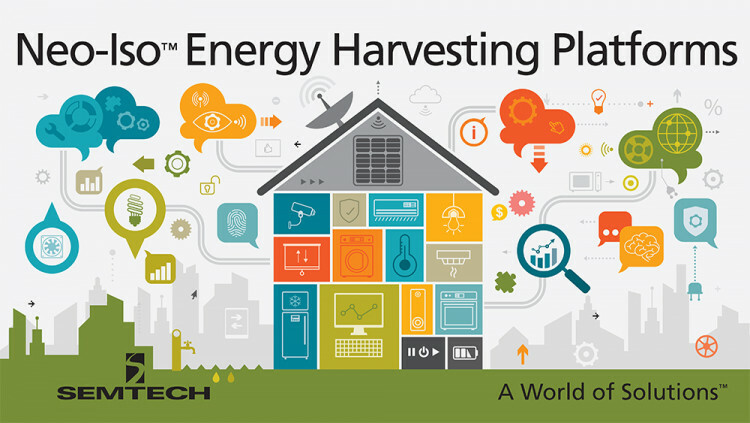 Semtech offers comprehensive design assistance, including field- and factory-based support. Data sheets, volume pricing, and delivery quotes, as well as evaluation kits and samples, are available at www.semtech.com/info. All statements contained herein that are not statements of historical fact, including statements that use the words “offer,” “allow,” or “enable,” or other similar words or expressions, that describe Semtech Corporation’s or its management’s future plans, objectives or goals are “forward-looking statements” and are made pursuant to the Safe-Harbor provisions of the Private Securities Litigation Reform Act of 1995, as amended. Such forward-looking statements involve known and unknown risks, uncertainties and other factors that could cause the actual results of Semtech Corporation to be materially different from the historical results and/or from any future results or outcomes expressed or implied by such forward-looking statements. Such factors are further addressed in Semtech Corporation’s annual and quarterly reports, and in other documents or reports, filed with the Securities and Exchange Commission (www.sec.gov) including, without limitation, information under the captions “Management's Discussion and Analysis of Financial Condition and Results of Operations” and “Risk Factors”. Semtech Corporation assumes no obligation to update any forward-looking statements in order to reflect events or circumstances that may arise after the date of this release, except as required by law.